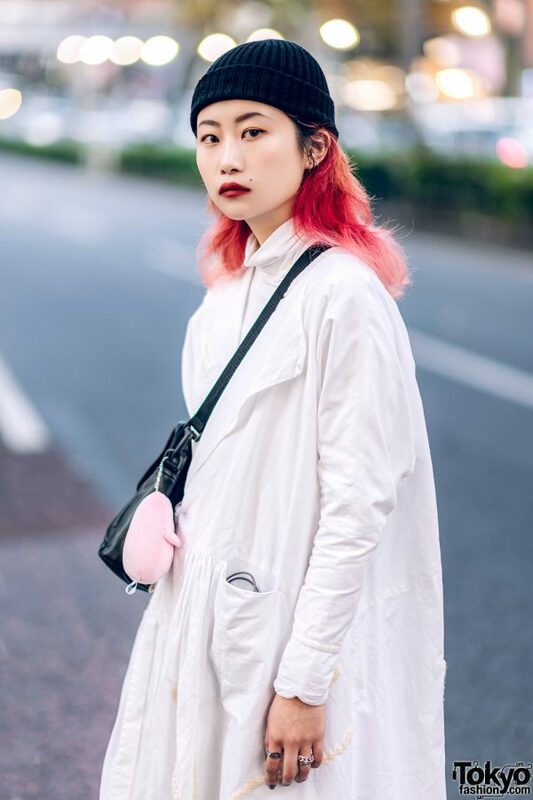 Catching out eye on the Harajuku street with her minimalist look is Fugui, a student and freelance model. 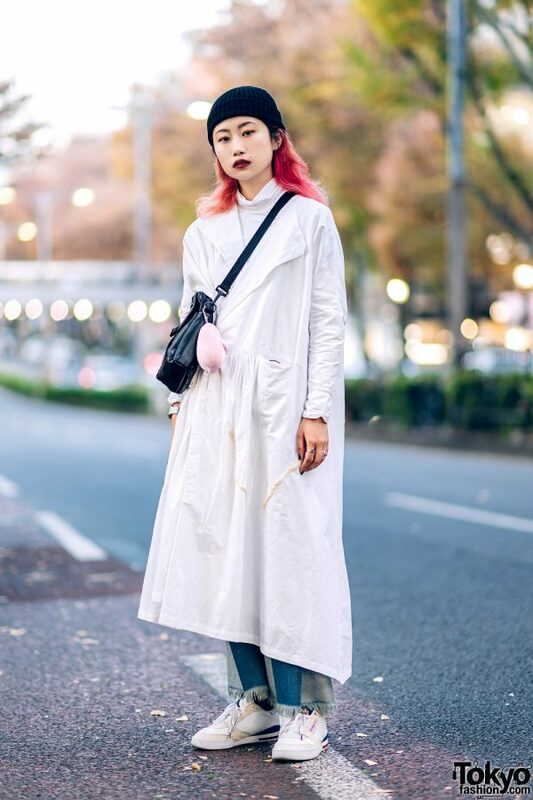 Sporting red hair underneath a black ribbed beanie from Neighborhood, Fugui stepped out in a white dress coat with a ruched waist and asymmetric hem from Ren.Su. She styled her coat with a white turtleneck top from UNIQLO, patchwork denim jeans with fringed hem from MISBHV, and white sneakers from Reebok. 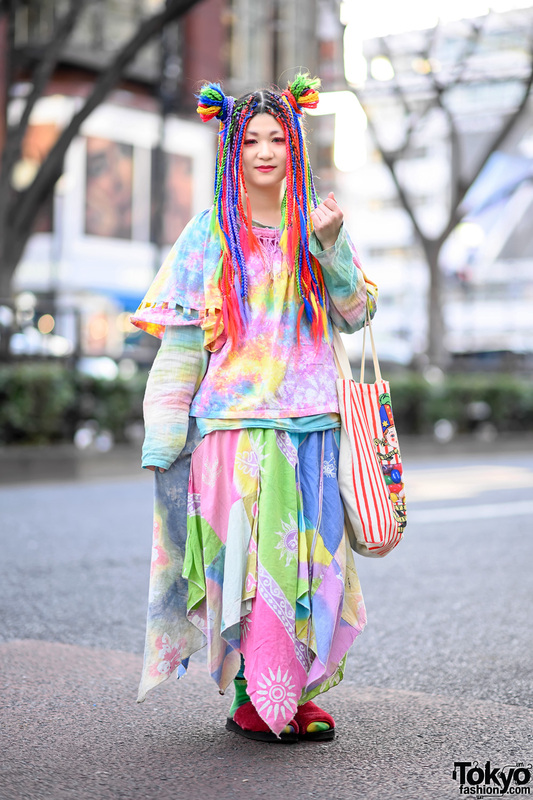 She wore a vintage black sling bag across her chest, a Barbapapa plush, and accessorized with silver hoop earrings, a silver watch and multiple silver rings. 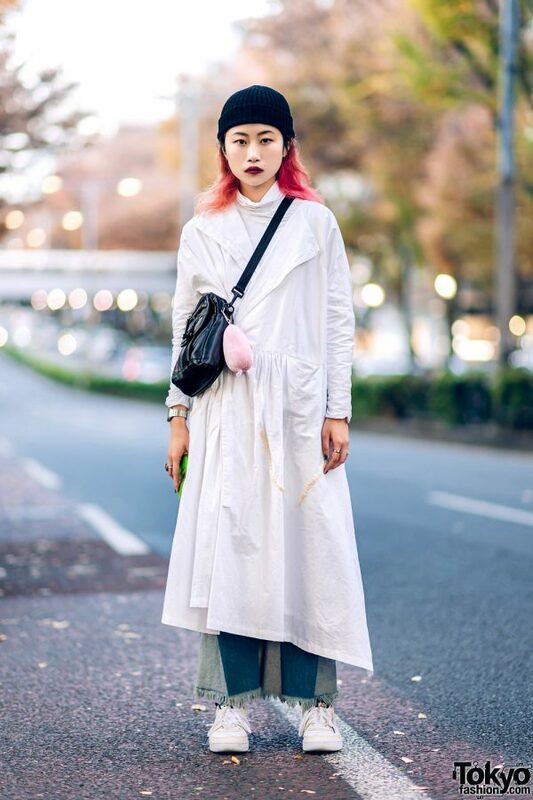 Fugui loves Comme des Garcons and vintage items, and she loves listening to Beast and techno music. 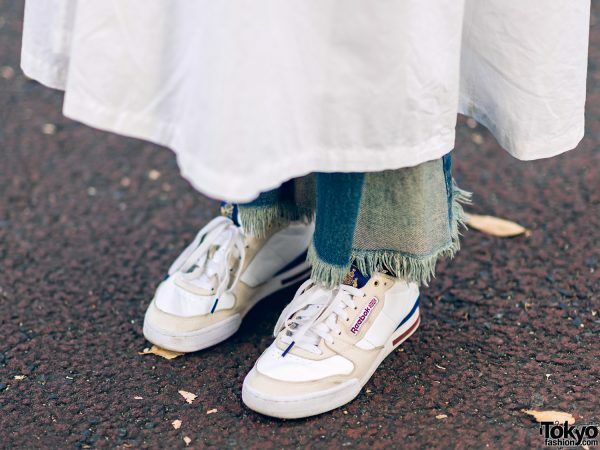 Follow Fupun on Instagram.